The Muppet Show had it start somewhere – actually the The Muppet Show Pilot was in 1975 on ABC. In the days when Kermit wasn’t a green from comparing the show. But all the usual gang are there to be seen. The Muppet Show pilot was quite different than the show itself ended up being. In this case, the original didn’t feature Kermit as the host. Jim Henson along with the gang give us a glimpse of things to come. Most remained including glimpses of Miss Piggy, Sam the Eagle and Rowlf the Dog though compare Nigel is replaced by Kermit the frog. 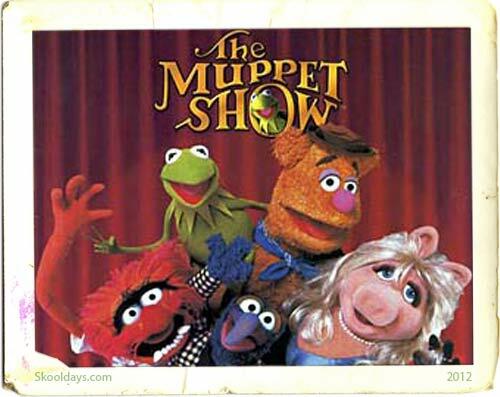 Although the Muppet Show Pilot arrived in 1975 the show itself got the go ahead and premiered on 5 September 1976. 5 series were produced until 15 March 1981, lasting 120 episodes. My favorite character was Gonzo the Great, he is a stunt performer. The Muppet Show’s resident oddball. Gonzo was a parody of Evel Knievel. Two Heaps, tarantula like monsters talking in gibberish. Looking at the Muppet Show Pilot you will see some differences such as the production. Some characters were abandoned and others created. We’ve mentioned Kermit is only briefly seen and the show is instead hosted by a Muppet named Nigel. However, there are many characters that remain almost the same from the original pilot to the first season run, such as the Swedish Chef, Sam the Eagle, Statler and Waldorf and Dr. Teeth and the Electric Mayhem. So what are your memories of the Muppet show? This entry was posted in PrimeTime and tagged 1970, 1980 by Skooldays. Bookmark the permalink.